Update: 7 January 2016, 12:20 p.m.
Today, UC Davis released the first estimates of methane emissions from an underground gas storage field north of Los Angeles. Owned by Southern California Gas Company, the gas has been leaking since October. UC Davis pilot and scientist Stephen Conley measured the plume and estimates nearly 80,000 tons of methane have been released, or about 1,000 tons per day. “To put this into perspective, the leak effectively doubles the emission rate for the entire Los Angeles Basin,” says Conley. The methane has traveled and affected nearby Los Angeles suburb Porter Ranch, displacing thousands of residents. Yesterday, California Governor Jerry Brown declared a state of emergency over the leak and its impact on the Porter Ranch community. Update: 31 December 2015, 1:45 p.m.
Utility officials in Southern California say they have determined the underground location of a pipe leak that has spewed natural gas into the air since late October, but it could be months before they're able to fix the rupture that has driven up the state's methane emissions and chased thousands of families from their homes. Los Angeles Mayor Eric Garcetti has called the leak an "environmental disaster," and the Los Angeles Unified School District shuttered two area schools for the rest of the year. World leaders left Paris over the weekend with an aggressive agreement to cut methane emissions and other so-called short-lived climate pollutants. Methane doesn't last as long in the atmosphere as carbon dioxide, but it's much more potent. That's one reason the city of Los Angeles is suing over the methane leak from a natural gas well north of L.A., and it's why state leaders are concerned about a long-hidden source of methane emissions: leaking natural gas pipelines. For decades, utilities in California have logged, but not repaired, thousands of pinprick leaks in pipelines criss-crossing the state. These leaks are considered non-hazardous because they don't pose a health or safety risk. But they do pose an environmental risk. Tim O'Connor, an attorney with the Environmental Defense Fund (EDF), says not many people, from utilities to state leaders, have been thinking about it. "It is this hidden environmental issue which is quite significant," O'Connor says. If you add up the greenhouse gas emissions coming from all pipeline leaks statewide, he says, it’s as if we’re putting 700,000 more cars on the roads. Most Californians who care about climate change understand that carbon dioxide emissions are a key part of the problem, but methane – which can seep from landfills, oil and gas infrastructure, wastewater ponds or agricultural facilities – is an important piece of the puzzle when it comes to combating climate change. Right now, the biggest single source of methane emissions in the state is in a hilly territory north of Los Angeles, where a massive natural gas leak from Southern California Gas Company’s underground Aliso Canyon storage field has permeated the nearby community of Porter Ranch with a foul smell, sickening some residents and prompting hundreds to relocate. Three weeks after the rupture began, the Los Angeles Department of Public Health issued a fact sheet noting that exposure to the methane gas wasn’t expected to cause long-term health impacts, but an additive called mercaptans is known to cause dizziness, respiratory issues, headaches and other short-term health issues. SoCalGas made several unsuccessful attempts to plug the leak, and it’s now drilling a relief well to contain it—a process that could take up to four months. SoCalGas now faces a class-action lawsuit from residents of Porter Ranch, charging the company showed a "willful disregard for public health," and a lawsuit from the city of Los Angeles charging that the utility failed to notify residents of the health hazard in a timely manner and didn’t have a sufficient plan in place to repair the breach. The company has also drawn heat from environmentalists. While the Aliso Canyon leak has released a staggering amount of heat-trapping gases, leaking natural gas pipelines are a more insidious problem that has persisted for years. Non-hazardous pipeline leaks are graded differently from ruptures that cause gas explosions – under state law, utilities must respond immediately if a detected leak is deemed hazardous. But leaks that vent outdoors, or emit only a small amount of gas, are classified as Grade 3 and have historically ranked as utilities’ lowest priority for repair. Usually the amount of gas they leak is so minuscule you can't smell it, and if they're venting outdoors, there's no danger of a gas build-up that could lead to explosion. The California Air Resources Board estimates gas pipeline leaks will account for 12 percent of the state’s methane emissions by 2030—a problem that will translate to higher utility bills in the long run, since customers pay for that wasted fuel. Policymakers have only recently started taking action to require utilities to fix them. 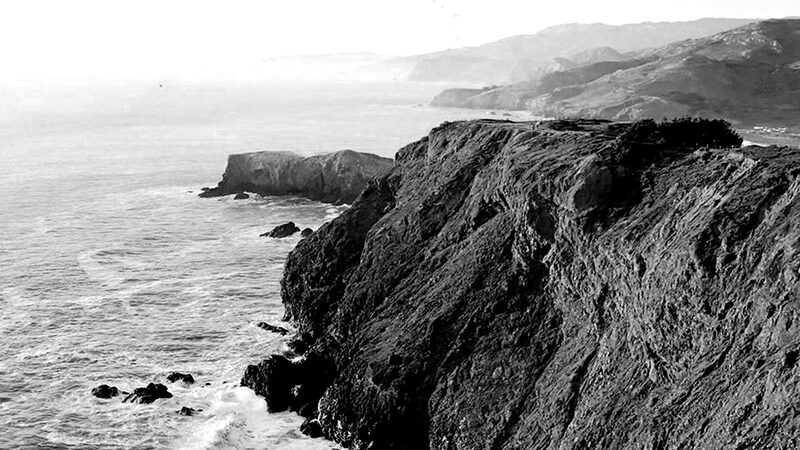 In 2014, Governor Jerry Brown signed legislation requiring utilities to seal non-hazardous pipeline leaks that don’t pose a threat to public safety. Before this policy, it was common practice to simply allow them to vent. “Certain situations -- not all, I want to be very clear on this -- you’d find some leaks that would go unrepaired for literally years,” said Eric Hofmann, business agent with the SoCalGas utility workers’ union. He said leaks from plastic pipes were more likely to be repaired, but leaks from steel pipes could persist for years. 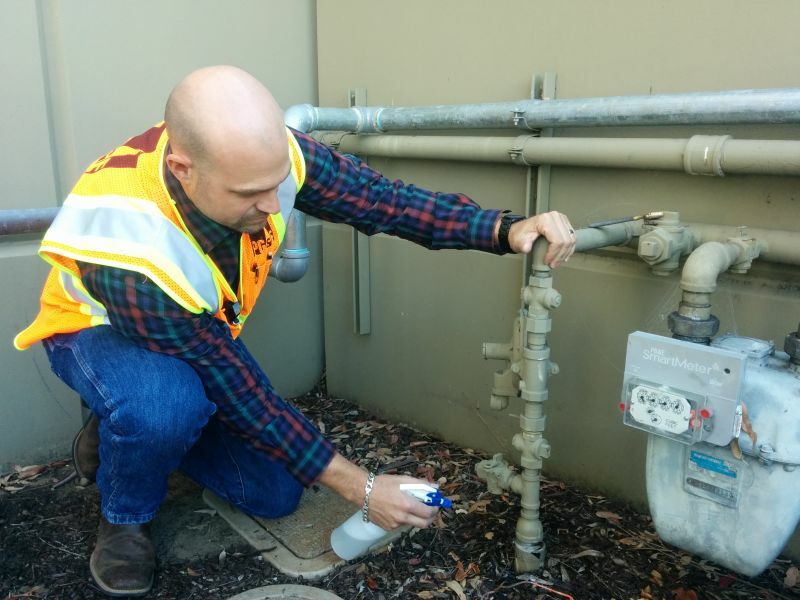 Partly because the deadly 2010 explosion in San Bruno drew attention to leaky pipelines, and partly because of the new state law, utilities are paying more attention to these small, non-hazardous leaks. Utilities are currently working with state regulators to formulate long-term plans for complying with the new legislation. In the meantime, Hofmann and others say the gas companies have started adopting new practices, with the recognition that addressing environmentally hazardous leaks is now mandated under state law. Around the time of this paradigm shift, PG&E adopted new air-monitoring technology that's 1,000 times more sensitive than the devices it used to rely on. Now they're finding leaks they couldn't detect before. In 2014, PG&E reported to regulators that crews found more than 18,800 new, non-hazardous pipeline leaks. Methane has drawn a lot of attention from policymakers lately. Speaking at a press conference in Paris, Democratic Senator Ricardo Lara of Los Angeles County issued a proposal to slash methane emissions in California to 40 percent below current rates by 2030.